About 10,000 years ago, humans started keeping pigs around for bacon, but also for its byproduct, lard. While it has been much maligned, as of late, lard is making a comeback in the culinary world as its nutrition profile, taste and sustainability make it a good option as a substitute for butter for those who are not vegan, but avoiding dairy, particularly Paleo followers. Simply put, lard is rendered pork fat. It is all natural, unprocessed and contains a similar fat profile to olive oil. It's got a bad rap since it was demonized by marketers of shortening, a plant-based lard substitute made from the by-product of cotton: cottonseed. Now that the push for healthy fats has gone natural, lard is returning to the dinner table. Lard has a better nutrition profile than many butter alternatives on the market. Unlike many processed oils, like soybean and cottonseed oils, organic lard is not hydrogenated and thus contains no trans fat. Many butter substitutes are highly processed and therefore lack the nutritional value of lard. Lard, on the other hand, has lower saturated fat than butter, but much more monounsaturated fat, almost double that of butter, and five times as much as coconut oil. Add those stats to the fact that lard is a good source of vitamin D, and you've got fat that's worth trying. Cooking dairy-free with lard could send your meat and veggies to the next level. 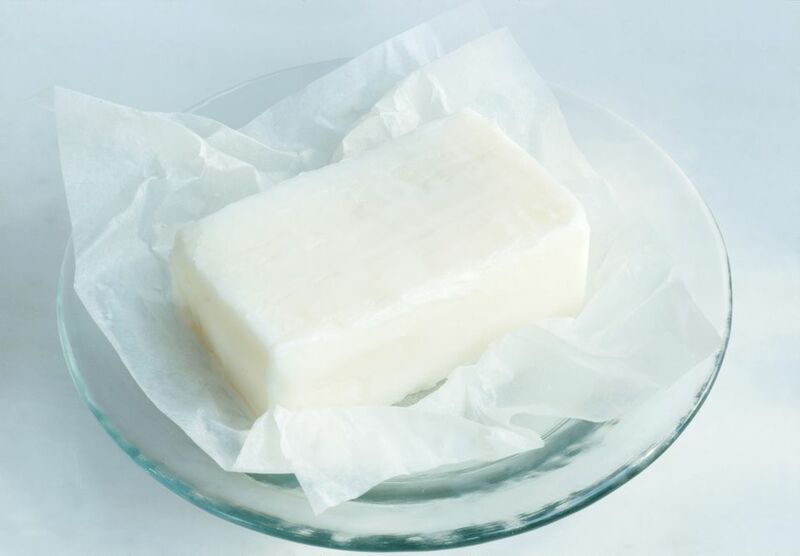 Lard has a higher smoke point than butter and other butter substitutes, which makes it perfect for deep frying and sautéing At 375 F, lard creates the benefits of fried, such as flakier and crispier foods and desserts in a shorter time, without burning. Using organic lard results in a perfectly browned crust on vegetables and meats without any distinct flavor. Unlike coconut oil, it is neutral in flavor and works well in cooking grass-fed beef, stir-fry vegetables, baking egg whites or for use in desserts. Just as the preservatives and processing of other butter substitutes are best avoided, you should buy lard that is organic and minimally processed. Organic lard is rendered from the fat of pigs that have been fed non-GMO feed that contains no animal by-products. Organic lard would also not contain antibiotics or growth hormones, nor would it come from pigs that live in confined animal feeding operations. It will require some work, but you should be able to find organic lard online or in health food stores.